Hard drive read-write heads are the component that read data from or write data to the hard drive platters. Hard drive heads, even though their function hasn’t changed much, their overall design and sophistication have changed dramatically. Most hard drive data recovery procedures on physically failed hard drives involve swapping out the read-write heads. The heads do not touch the platter surface while they are in operation. However, they are extremely close. In modern hard drives the heads fly above the disk surface with clearance of less than 6 nanometers. This is known as the “flying height”. As drive capacities get larger, they pack more and more bits of data onto each platter surface, and this results in much narrower tracks. To read these smaller tracks, the flying height is reduced, so that the read-write heads are closer to the platter surface. The flying height of the head is maintained by what is called an “air bearing”. This is essentially air pressure that is generated by the rotation of the platters, and it creates lift on the heads. This allows the heads to float above the platter surface, without actually touching it. A hard drive crash can occur if dust or debris get between the head and platter as it is rotating. Also you can have issues where components within the head assembly fail and cause a head crash. When a head crash occurs it can cause severe damage to the platter surface. Platters generally rotate at 7,200 RPM or faster, so if there is direct contact between the platter and the head, then severe damage can occur that can prevent data from being recoverable. Symptoms of a head crash can typically be represented by what is called the click of death. The heads themselves started out similar to the heads in tape recorders — simple devices made out of a tiny U-shaped piece of highly magnetizable material called ferrite wrapped in a fine wire coil. When writing, the coil is energized, a strong magnetic field forms in the gap of the U, and the recording surface adjacent to the gap is magnetized. When reading, the magnetized material rotates past the heads, the ferrite core concentrates the field, and a current is generated in the coil. The gap where the field is very strong is quite narrow. That gap is roughly equal to the thickness of the magnetic media on the recording surface. The gap determines the minimum size of a recorded area on the disk. Ferrite heads are large, and write fairly large features. They must also be flown fairly far from the surface thus requiring stronger fields and larger heads. Metal in Gap (MIG) heads are ferrite heads with a small piece of metal in the head gap that concentrates the field. This allows smaller features to be read and written. MIG heads were replaced with thin film heads. Thin film heads were electronically similar to ferrite heads and used the same physics. But they were manufactured using photolithographic processes and thin films of material that allowed fine features to be created. Thin film heads were much smaller than MIG heads and therefore allowed smaller recorded features to be used. Thin film heads allowed 3.5 in drives to reach 4GB storage capacities in 1995. The geometry of the head gap was a compromise between what worked best for reading and what worked best for writing. The next head improvement was to optimize the thin film head for writing and to create a separate head for reading. The separate read head uses the magnetoresistive effect which changes the resistance of a material in the presence of magnetism. These MR heads are able to read very small magnetic features reliably, but can not be used to create the strong field used for writing. The term AMR (A=anisotropic) is sometimes used instead of MR. The introduction of the MR head in 1996 lead to a period of rapid aerial density increases exceeding 100% per year. In 2000 GMR, Giant Magnetoresistive, heads started to replace MR/AMR read heads. In 2005, the first drives to use TMR, tunneling MR, heads were introduced by Seagate allowing 400 GB drives with 3 disk platters. If you have important data that you need to have recovered from a hard drive that has a head failure, then you should contact a data recovery professional. 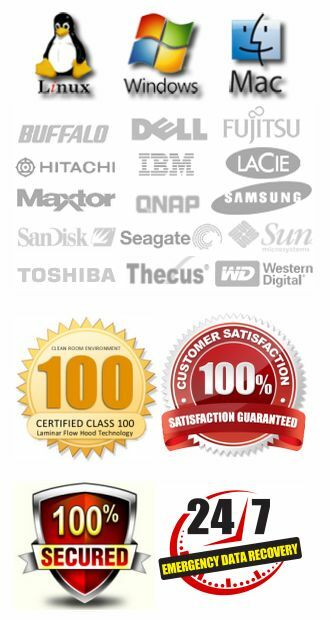 At ACS Data Recovery, we have been helping clients get back lost data on failed storage devices for over a decade. 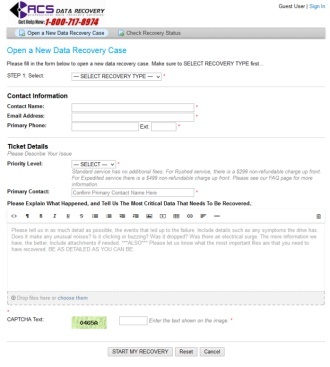 We offer a free initial evaluation and in most cases there is no charge if the data is unrecoverable.